This lovely white cotton batiste dress was hand made in the Philippines in the 1930s. 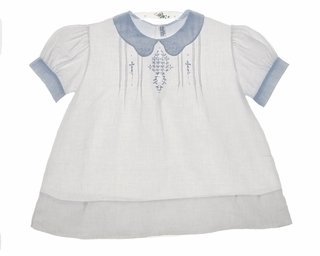 It features pintucking with lovely blue embroidery on the bodice. The blue collar is embroidered in white. 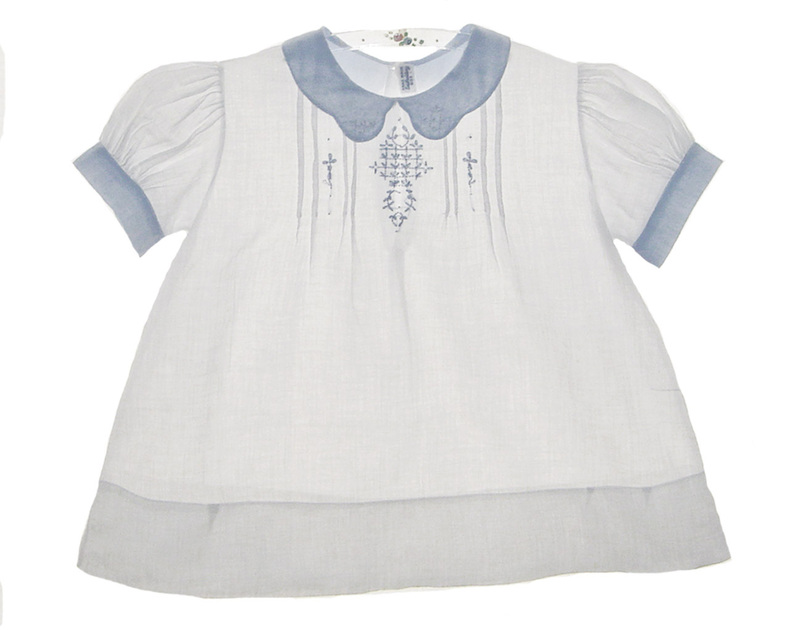 The short puffed sleeves are finished with blue trim. The dress closes in the back with two small shell buttons and is finished with a 2½" hem. A darling heirloom portrait gown or christening gown for your baby girl!